it was the same thing with Unreal, and most of the Build Engine games. Yeah, my first character found a big fight going on and slipped in to loot the dead. And while I was doing that, someone came back and just annihilated me. Kenshi - oh god, I checked it out mid-2013 and it was a mess. Gotta give it another try now, it is in my account anyway. So I lasted about 10 days.... Started to get some weapons and gear. Had a small house in the Hub. Research Bench, was doing a lot of Copper mining for cash, which let me live. Had a few close calls with large groups of nasty guys... 1 lot who beat me almost to death, and took my food. Those goats are a menace! Conan Exiles, Kingdom Come Deliverance, Assassin's Creed : Origins and I just installed C64 Forever Express Edition. There's old game by Creative/Reality Martech called Slaine. I was playing this morning before I got fed up with it's unusual control scheme. It's a text adventure with comic book style graphics based on 2000AD character of Slaine, a wandering Celtic barbarian in exile & his faithful but unscrupulous dwarf companion Ukko travelling the wilds of Tir-Nan-Og. Only armed with a trusty stone battle axe.....Brain-Biter. Plenty of other old C64 games to paly on there. Over a hundred. I am playing Overlord II, and Deadfire; and finishing Dark Queen of Krynn. There are some great c64 games. Thats the one and that fellow there is Balor. 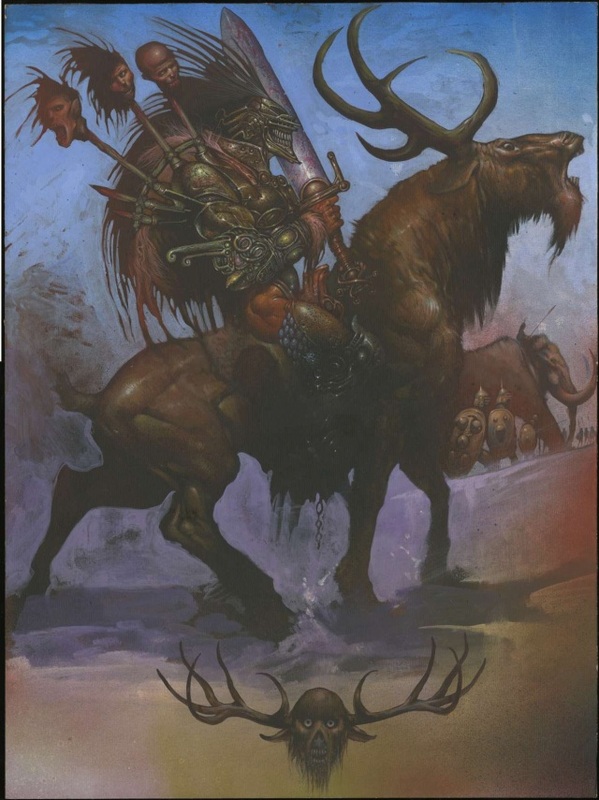 You can still read Slaine. They been selling all the graphic novel up to the ones that are current now at the 2000AD online Shop. (Not sure If they'd let me put the link up here. ) Look for my page on facebook Slaine the Warped Wanderer and ask to join if you like. Just remember, I have three questions. Right now, I'm deciding wether to spend the thirty dollars to upgrade my C64 Forever Membership. So, I can continue play Slaine. I went ahead and brought the software download. It wasn't even 30 dollars, downlaoding it right now. Now playing Assassin's Creed Syndicate. Both that and Origins are huge games to get into. There is so much scope, It's been a while since I last played Syndicate and it took me a bit to get the hang of it again. On stopped playing cause of a significant drop in frame rate. Ahah... I have found the magic money maker in Kenshi.... BOOZE!!!! Also just bought Banner Saga 3.. looking forward to seeing the end of this epic tale. Much as I hate to admit it...I did it again even though I said I wouldnt...I pre-ordered Anthem You would think I had learned my lesson with Mass Effect Andromeda.